a new program available through Stampin Up. Paper Pumpkin by Stampin’ Up! is a new monthly kit program that anyone (even you) can enjoy! 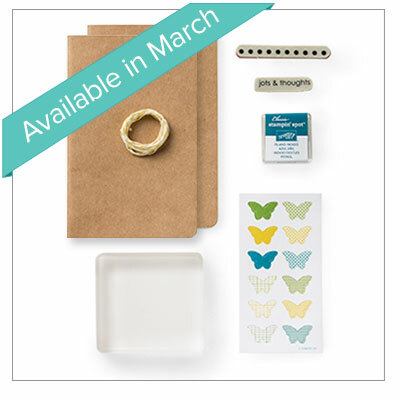 Welcome Kit includes a free gift-a clear acrylic block! sure to choose me as your demonstrator during the ordering process. with your friends and family-every month! month. (Let’s say you sign up on May 10th, we’ll send your kit around May 15th. There’s no commitment, you can cancel your monthly Paper Pumpkin at anytime. You can also skip a month if you want. YOU DON’T WANT TO COMMIT?